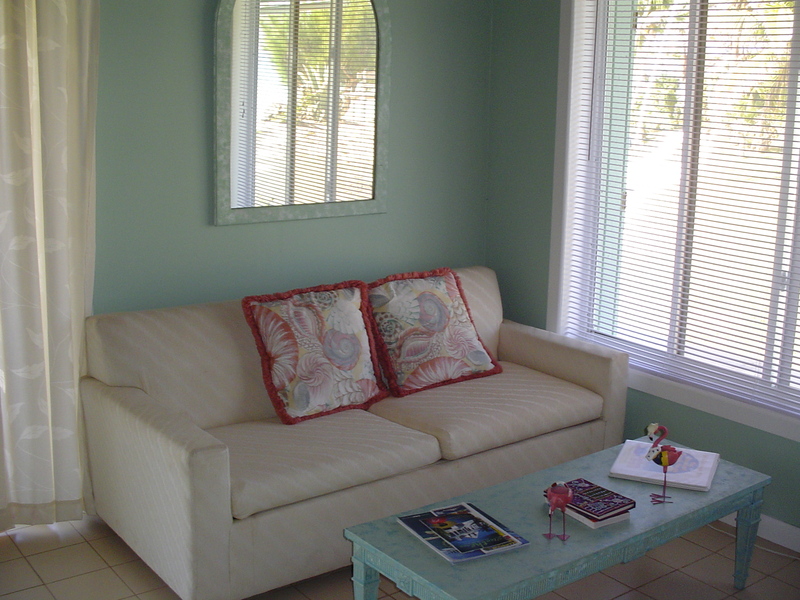 The Seashell decorated in teal and seashells offers a King size bed, sofa & dining area that makes it perfect for a couple. 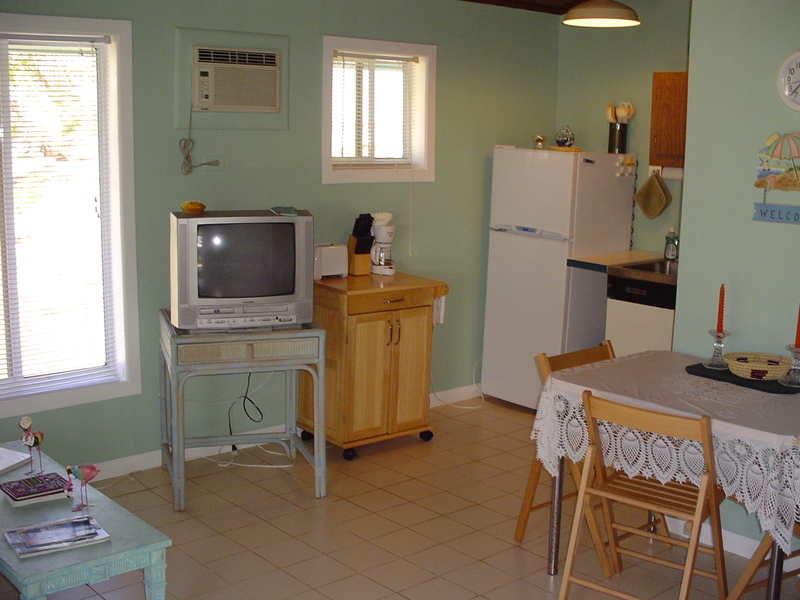 It's easy to prepare meals in the fully equipped mini-kitchen with full size refrigerator plus there is a gas grill outside. The bathroom has full size tub/shower & hairdryer. Enjoy cable TV with VCR/DVD player. Some books & games available for your use. Large windows and sliders offer partial water and yard views. A/C for your comfort. Tongue & groove cathedral ceilings with fan. Step outside to the wrap around deck with table & chairs for outside dining. Enjoy a walk on the beach, do some swimming and snorkeling in the crystal clear water and then enjoy the outside shower. Leave all your worries at home...the chirping of birds is the only thing that breaks the silent. The stars sparkle like diamonds at night. 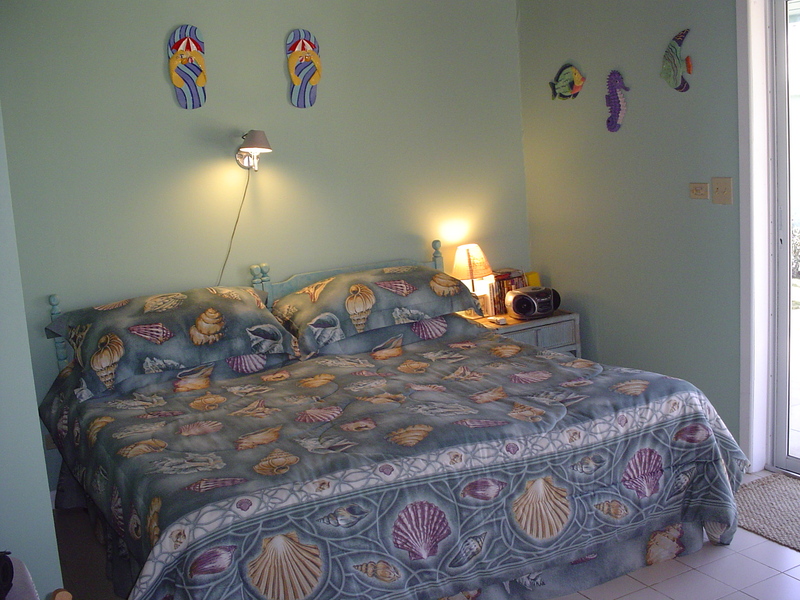 Combine this unit with the Mermaid to give you 2 bedroom/2baths. Perfect for the larger family or 2 couples traveling together. Each unit gives privacy but has the adjoining door to open up as needed for meals and entertaining.